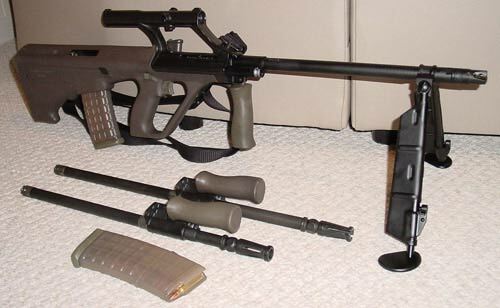 A3 with Trijicon and MSAR 42 round mag. Here's my A3 with Vortex Strikefire Red/Green dot and a 44 round mag from CTD. 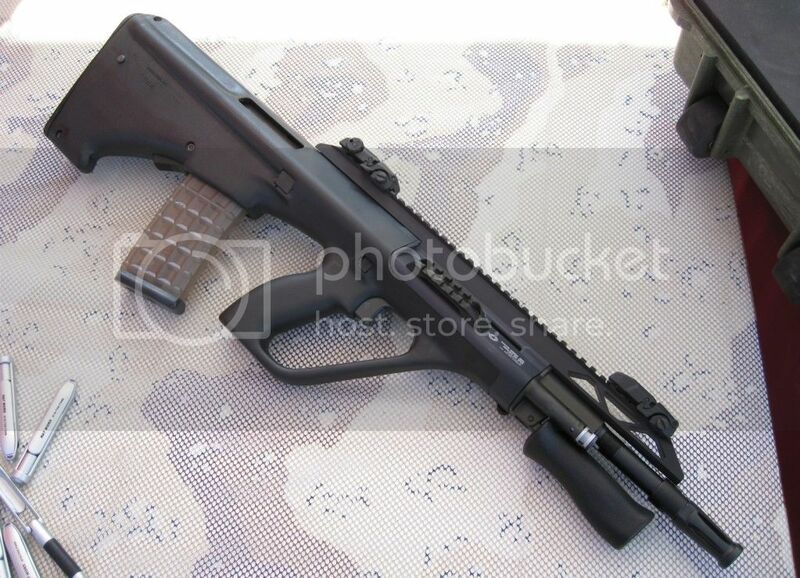 There was a Steyr AUG HBAR on gunbroker last year around the summer time. I ALMOST bought it but at the time I had my G36 and didn't need another expensive .223. I deeply regret not buying it when the price was right. *Not the exact one on gunbroker though in the pic. nice pics...i will be purchasing either a msar or a3 aug this yr hopefully..anyone have experiance with both guns..are they both good guns incase i run into a sweet deal ? does the aug and/or msar have a fair grouping out to 2-300 yds ? I rarely see the MSAR in 7.62x39 But,They are out there. I have a Gen.3 STG and I've never had a problem with it or the mags. That rail is slick! Very happy with the way Steyr was represented at the shoot!